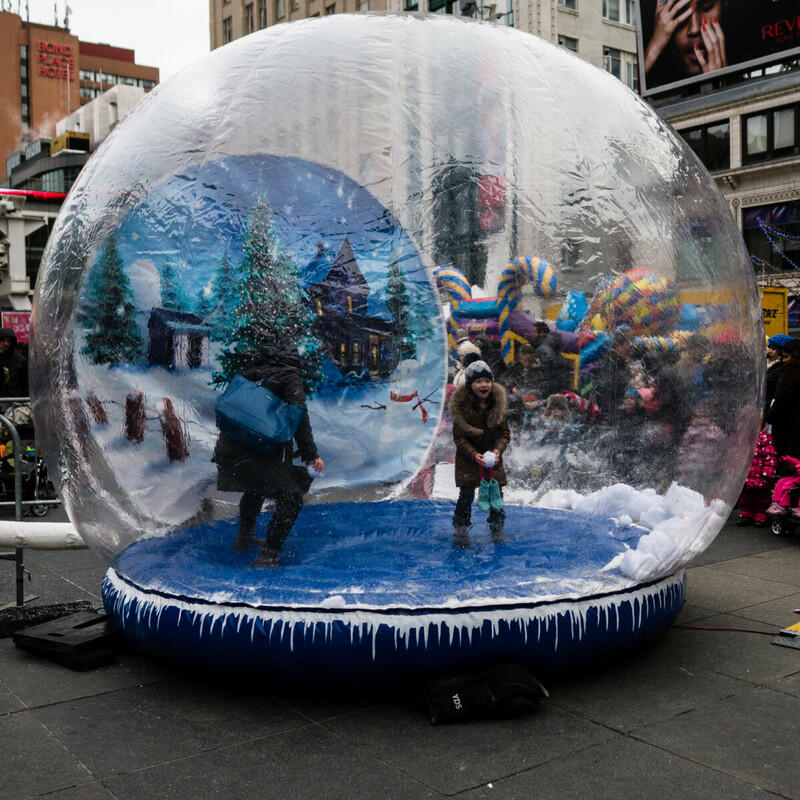 A human sized snow globe - spotted at Dundas Square in Toronto. There was a long line up of people going in to get a photo of themselves. Really slow line as the globe half deflated each time people went in/out.